Daily Debate: How Many Hours of Play is Enough to Experience the Core of BOTW? From the moment Link stepped out into the world of Breath of the Wild, it was clear the game was huge. From the vantage point of a treacherous cliff face with an ever so inviting drop, Breath of the Wild unfolds, but just how long does it take to grasp the feral heart of the greatest Zelda in years? The Great Plateau deftly introduces the core mechanics of climbing, shrine solving and cooking, having to become the Bear Grylls of Hyrule in order to survive. This early segment sees you uncovering shrines, gaining runes, encountering the undying and hostile remains of a Guardian as well as learning to leverage Link’s body temperature. It’s a lot to absorb but it could be said that this introductory segment prepares you for what’s to come, but quite simply, it doesn’t. It can’t even begin. 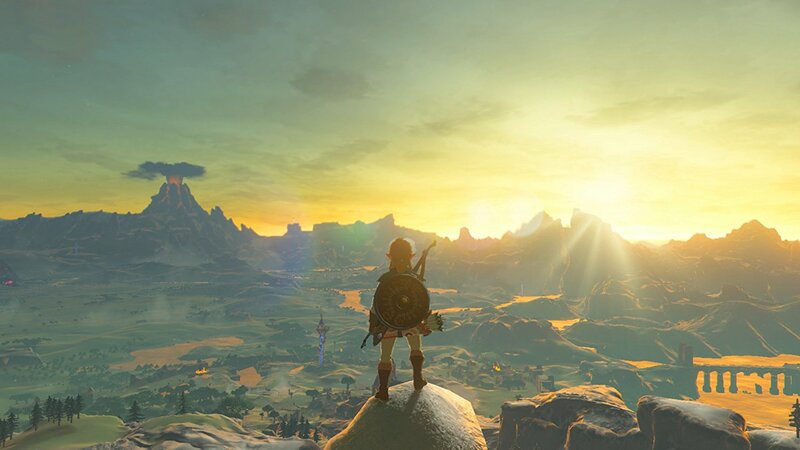 Breath of the Wild is so dense and so large that much of the experience lies beyond the Plateau that initially shackles you, from taming horses to uncovering lost memories to meeting the towering, rupee-snatching, Glamazon Great Fairys dotted around the world, it’s an experience that just keeps expanding the more you wander. But how far in can you say you’ve played enough? Is it leaving the Great Plateau, cleansing your first Divine Beast or just being blessed by the presence of Prince Sidon? Tell us in the comments!